Exclusively developed as a precaution against the fading of tattooed skin. A natural cosmetic (Sprayttoo® Tattoo Protection LSF30 SUN Spray) product. Without: animal extracts, PEG, silicones, synthetic dyes and paraben free. Anti-Aging Complex with Vitamin E: Increases resistance of the skin, promotes metabolism and reduces premature aging by free radicals. Kombu Algae: The extract from the cell wall of the algae is rich in vitamins A and E and a special lipid, which protects the skin from damage by UV light. Panthenol: Calms irritated and reddened skin. Bonds the moisture in the skin. The certification mark ensures that only raw materials which meet the strict requirements, the so-called “BDIH standard”, are used for the production. 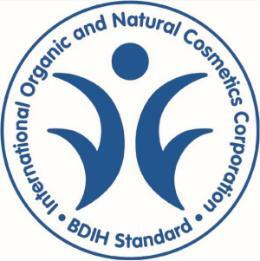 Independent inspection bodies check the declared natural cosmetics products for their ingredients and composition. 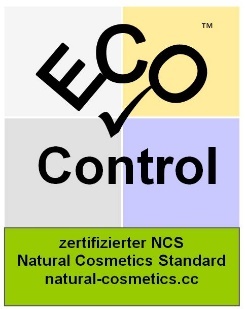 This seal is the qualification of the ingredients in natural cosmetics and meets the requirements of the well-known Natural Cosmetics Certifications.